Website builders are one of the simplest ways for users with no knowledge of coding to build a website. They allow for rapid site construction through an extremely visual-driven interface, much like the WYSIWYG experience that applications like Microsoft Word offer. According to data from the Department for Business, Innovation & Skills, as of 2018, there were 30 million small businesses in the US. This represents an estimated 99% of businesses in all sectors – many of which are unlikely to have their own dedicated web designers and programmers. Building a website from scratch can be difficult as you need to understand how website hosting works in the first place. Hence, this makes the concept of website builders even more appealing to this market. Site builders have come a long way since the early days of Geocities and today, using them to develop a site is as easy as choosing a template and editing it to suit your needs. Today we will be looking at what you can expect when using a website builder to build your business website. Wix has a massive template selection, many of which are business-related. Almost all website builders today will offer you a selection of templates to choose from. This helps in a few ways. For example, you could choose one which is close to something you have in mind for your site and then build on it later. They can also serve as an idea pool through which you can choose to join various elements to produce something that would be uniquely representative of your own business. These templates will usually span several themes, from online stores to portfolios and business. 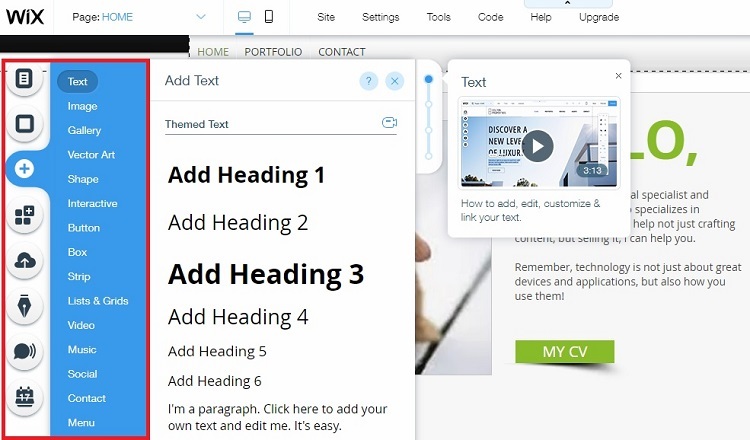 The sample shown here is the Wix interface and on the left are the building blocks you can use to modify or build on a chosen template. Imagine the construction industry today and you’ll realize that in order to complete a project faster, many companies are using pre-fabricated parts. This means that the construction company only must piece together parts in order to get a working structure. The website builder experience is much akin to that and rather than needing users to write the code that makes things happen, it is pre-written and made available to them visually. Take for example the Wix interface which demonstrates the typical WYSIWYG experience. By using a series of elements that are ready-made, putting together a website with a site builder can be very quick. The Weebly App Centre offers more than 270 potential add-ons for your website. If you’re thinking that using a site builder means that your site can’t offer features which are as good as sites built by developers, think again. Top-tier site builders today like Wix, Weebly or Squarespace make use of apps or plugins to empower sites. Where the basic features of all site builders are often exactly – the basics, they also allow for users who want more features on their site. Take for example Weebly, which has what it calls the App Center. They have a massive number of apps which let you empower your site to do many things. Imagine if you want to run an online store and need a way to accept payments from your customers. That process is made incredibly simple thanks to the use of apps. Or perhaps you want to send out a newsletter and allow visitors to sign up to receive it on your website – as easy as adding on another app. The concept is popular and available through many site builders in the market today. POWr has more than 50 plugins to help you grow your online presence. 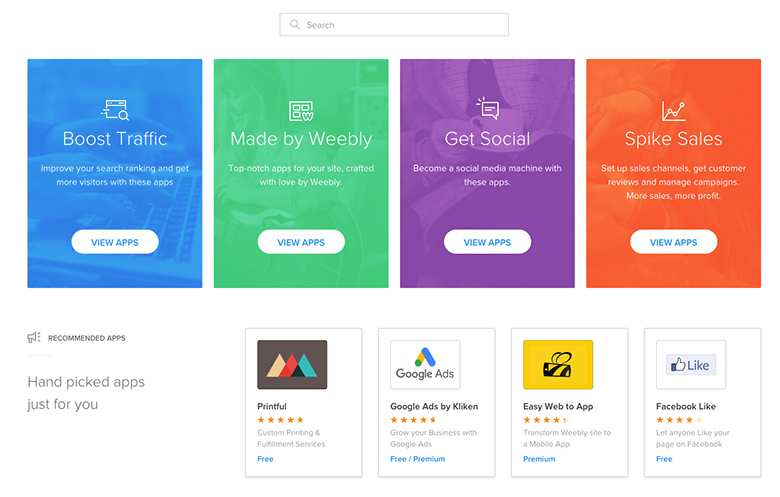 If you can’t find the app you’re looking for in your website builder, or your website builder doesn’t have an app store (like Squarespace), there’s a solution! POWr has created plugins that can help small businesses to grow their website regardless of the platform they are using. For example, from embedding a form builder app on Wix to embedding an image slider app on Weebly, basically, you can add any POWr plugins to any site you are using. Prepare some of your own photos to give your site that personal touch. Although I’ve mentioned that site builders give you the tools which you need to build your site quickly, I highly recommend that you prepare some of your own photos to give your site a more personal touch. 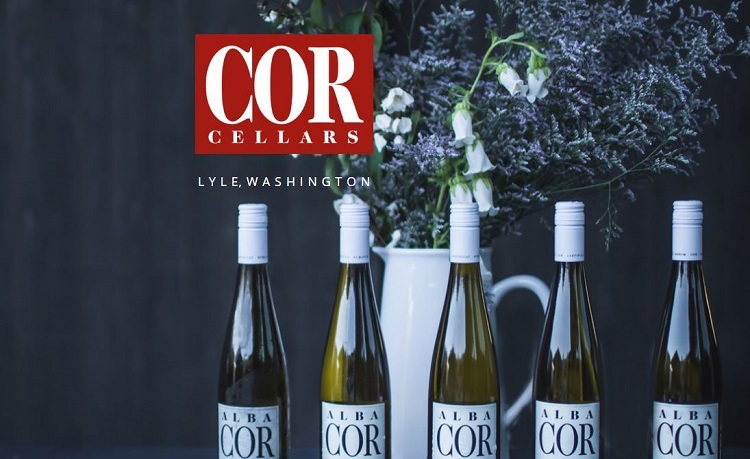 Take for example this website developed in Squarespace; Cor Cellars. It makes use of very specific images which showcase its own products (in this case, wines). You also should be prepared to have your own ideas for other personal touches such as logos and taglines. These are what makes your site uniquely you and can’t easily be ready-made for your use by website builders. Wix prices start from as low as $4.50 per month and scale up depending on your needs. Small businesses tend to have tighter budgets and the cost web developers charge are not exactly cheap. With website developers charging fees that can range into the thousands of pounds, wouldn’t you rather eliminate the middleman and just must pay a low, monthly price to a website builder? Most site builders have rates from as low as a few pounds a month. Of course, this varies depending on the exact features you need on your site. At the same time, the overall cost would be like prices you would have to pay for web hosting anyway. As you can see, the experience of using a website builder isn’t overly technical in nature but is much more intuitive. If you’re familiar with some basic concepts and have a touch of creativity within you, the possibilities are endless. Add to that the extra functionality that comes from the use of add-ons or apps and you can build a website on your own that is everything that the usual web developer can do for you – for a fraction of the price. Being a WordPress fan and a marketer, Jason Chow loves to blog about online business ideas, social media marketing tips, SEO and many more. Currently, he is associated with WHSR and BuildThis as the site manager. His passion lies in sharing website building tips to small businesses. You can connect with him via @JasonCPF.